Jason’s diverse career has encompassed a wide variety of roles ranging from design engineering to CEO to serial entrepreneur, within industries including aerospace, automotive, consumer packaged goods, defense, energy, engineering, industrial automation and software; within corporate environments consisting of new startups to mid-market firms to Fortune 500 global organizations and international work experience in 14 countries. Jason now leads micro-cap private equity firm Premo Ventures specializing in buyout acquisition transactions of smaller and fragmented $1MM-$10MM size companies in precision manufacturing and services in the Southeast USA. Jason is also a partner with Atlanta based firm Abraxas Business Services, Inc., providing full Mergers and Acquisitions services for small to middle market companies up to $30MM revenues. Jason is an active investor with Space Angels Network and Swamp Rabbit Angels, personally investing and often serving on multiple boards of high tech start-ups. Jason is a regional Director of The Founder Institute, worlds largest entrepreneur accelerator program with 100+ chapters, 1500+ startups launched, and 10,000+ new jobs created around the globe. 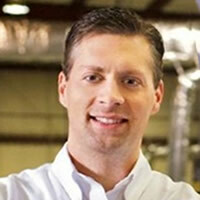 Jason was appointed by Governor Nikki Haley as a Board member for the South Carolina Centers of Economic Excellence. He is or has served on boards for Greenville Technical College, SC Broadband, SC Aerospace Industry Council, SouthCarolinaManufacturing.com, SC BioTech Industry Association, and AidJoy nonprofit organization. Jason is also an Aspen Fellow and Liberty Fellow with the Aspen Global Leadership Institute (AGLN). Jason received a Bachelor’s degree in Industrial and Systems Engineering from the Georgia Institute of Technology and is a certified Lean Manufacturing-Kaizen Facilitator, Six Sigma Master Black Belt, and ISO 9000 / AS 9100 Auditor. He has also served as a senior examiner for the prestigious Presidential Malcolm Baldrige National Quality Award (MBNQA).